Neil McGuigan, chief winemaker McGuigan Wines, must be doing something right to have won the International Winemaker of the Year an unprecedented four times (2009, 2011, 2012 and 2016) at the prestigious International Wine & Spirits Competition (IWSC) London, which many refer to as the Oscar of world wine awards. The fact that the Hunter Valley winery McGuigan Wines, is the only winery in the competition’s 48-year old history to have achieved this distinction four times, is remarkable indeed. It is a great accolade for Australia as a world-class wine producing nation and a huge validation for the growing reputation of Australian Vintage Limited, one of the largest wine producers in the Hunter Valley, 250 kms north of Sydney Australia, of which McGuigan Wines is a part, and Neil McGuigan is the CEO. The winery was also been awarded the title of Australian Producer of the Year several times (most recently at the New York International Wine Competition), while their Bin 9000 Semillon has won the trophy for Best Semillon at all major wine competitions. McGuigan Black Label Red, is Australia’s number one selling red wine by volume, and two of their wines, McGuigan Black Label Shiraz and McGuigan Black Label Chardonnay (each priced at Rs 950 MRP) are the most versatile and value for money wines that you can buy in India right now. Indian consumers in any case, love Australian wine, going by the huge popularity and sale figures of Jacobs Creek and Hardys. 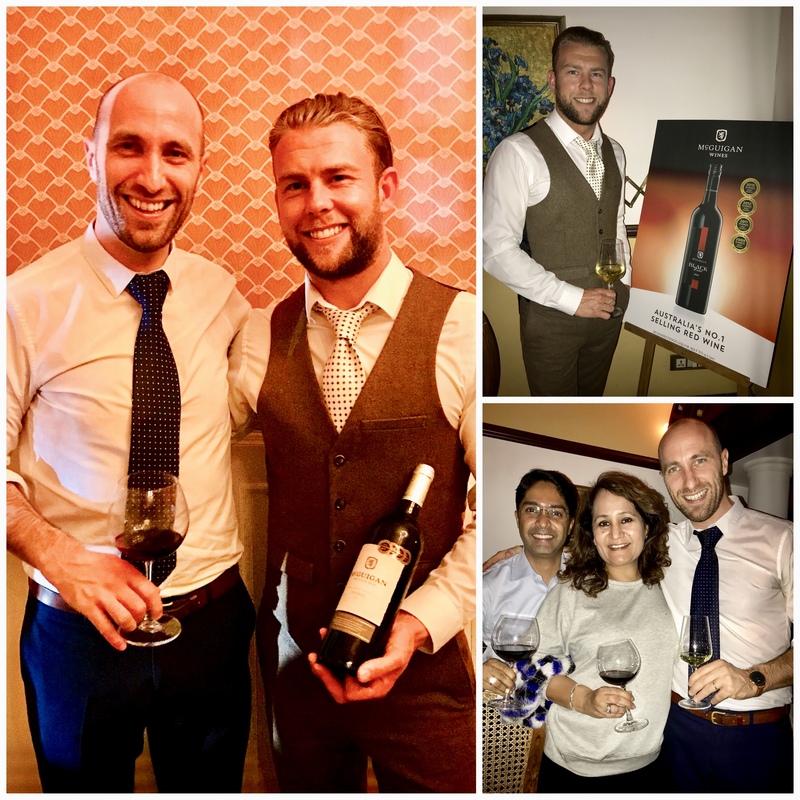 Keeping in mind the evolving Indian wine palate and their growing appetite for quality wines, McGuigan recently presented two new labels Private Bin and The Brothers, at a dinner hosted by Amit Agarwal of Hema Connoisseur Collections(HCC), importers and distributors of McGuigan Wines in India. Both labels will be available in the Indian market by January 2018, giving yet another reason for wine lovers to celebrate. Muir Leggett, Nicolas Heretiguian from Australian Vintage Ltd with the importer of McGuigan wines Amit Agarwal of Hema Connoisseur Collections. Muir Leggett, Sales and Marketing Manager Asia Pacific and Nicolas Heretiguian, General Manager Asia, Australian Vintage Limited, who were both present on the occasion in New Delhi, spoke with pride about the purple patch their wines are experiencing at wine shows, in terms of the sheer number of awards received. That’s because the company’s motto is to “make better wine than they made yesterday” and “over delivering at every price point”. This is certainly true for McGuigan Private Bin Shiraz and Chardonnay as both are very competitively priced at Rs 1400 (MRP) and for the value they deliver in terms of quality, I would say they are a real steal. 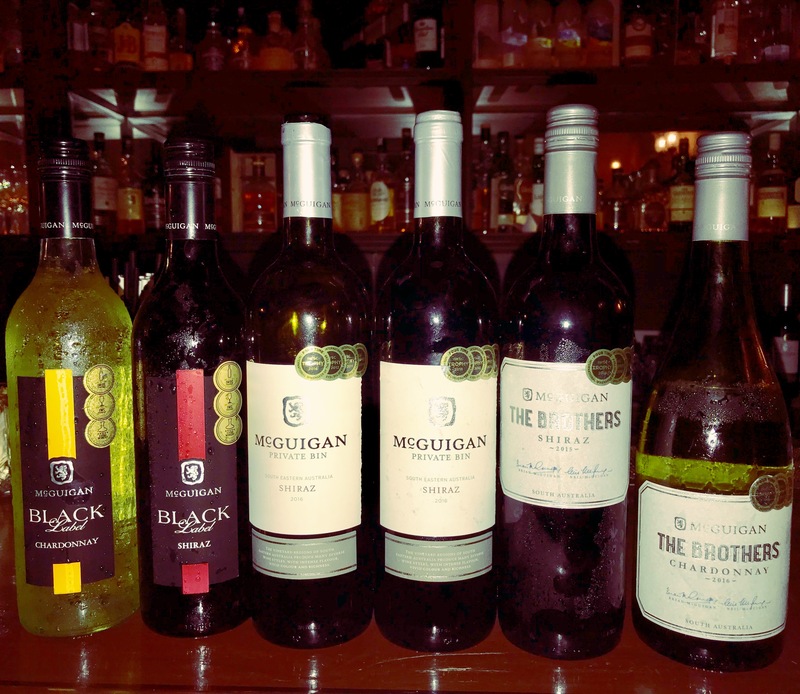 McGuigan The Brothers Shiraz and Chardonnay at a slightly more premium price of Rs 1800 each, celebrate the legacy of Brain and Neil McGuigan, two brothers who have one goal, which is to make wine the real hero. Let us hope that wine lovers in India do the same and embrace all the three labels from McGuigan Wines, Black Label, Private Bin and The Brothers with open arms. 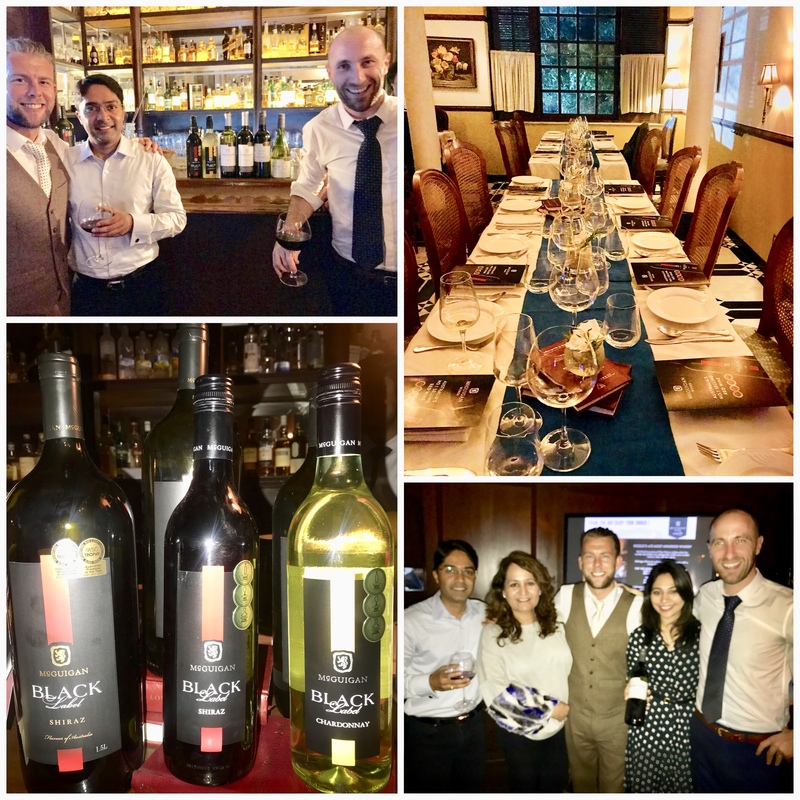 Launch of new McGuigan wine labels at a dinner hosted by Amit Agarwal of Hema Connoisseur Collections. The event was organised by Karina Aggarwal at ATM Bistro New Delhi.